Tanis’ CDs and MP3s are also available in German! 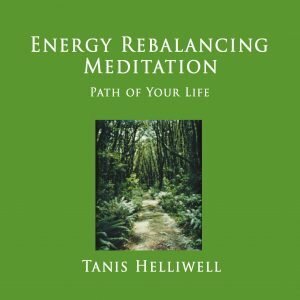 This is Tanis’ newest audio teaching and visualization series, focused on healing yourself by working with your body elemental (CD #1), overcoming old thought forms, programs and fears to become your authentic powerful self (CD #2), and how you your body consciousness is imprinted at the cellular level by thoughts and feelings and experiences in your life (CD#3). These CDs are the perfect accompaniment to our self-study ecourses, Spiritual Transformation and Fear Transformed, and her book, Summer with the Leprechauns. Knowledge of the Body Elemental and learning to work with it is essential if we are to become creators. This talk and visualization are the most often requested by participants in Tanis Helliwell’s workshops. Track 1 of The Body Elemental is a talk which answers the question “What is the body elemental?” and discusses its purpose in creating your physical, emotional, mental and spiritual bodies, not just in this life but in all lives. In the guided visualization in Track 2, called “Healing with your Body Elemental”, you will meet your body elemental and learn to work with it in order to discover the various areas of blocked energy in your body and the causes of these blocks. Then, you will learn to heal these areas to free your energy for health in all areas of your life. To move to the next stage in our consciousness we must clear old thoughtforms that keep us tied to lower fearful frequencies. This powerful uplifting CD is a helpful accompaniment to the IIT Fear Transformed Self-Study ECourse. Track 1: In this live teleconference, “Rise of the Unconscious” Tanis Helliwell speaks about how through early woundings we negate parts of ourselves and create a false persona to survive and be physically and emotionally safe. She describes the steps we go through to unite our personal and collective unconscious to be our authentic selves—a soul-infused personality. Track 2: In the guided visualization in Track 2 called “Your Basic Goodness”, you release layers of critical thoughts and old programs that hold you in a limited unhappy state. This leads to heart opening and love for yourself and others as you joyfully discover you are wonderful just as you are. Track 1 of Reawakening Ancestral Memory discusses how you your body consciousness is imprinted at the cellular level by thoughts and feelings and experiences in your life. In the guided visualization in Track 2, called Through the Veil between the Worlds, you will learn how to clean all your chakras from these previous imprints and traumas that are no longer appropriate in your life. 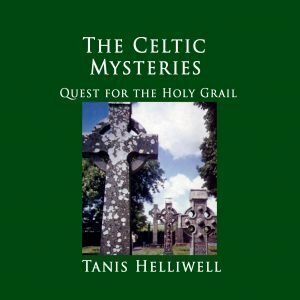 Track 1 of The Celtic Mysteries reveals the spiritual truths behind the British legend of King Arthur and the quest for the Holy Grail. In the guided visualization on Track 2, called The Quest for the Holy Grail, you will meet the guardian of the Grail and experience the significance of the Grail in your own life. 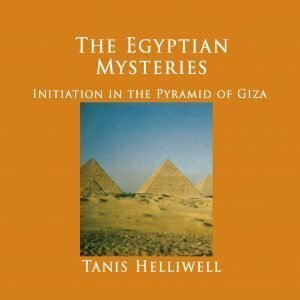 Track 1 of The Egyptian Mysteries explains the significance of the central myth of the ancient Egyptian culture, which is the story of Osiris’ death and rebirth. It is a myth that details the predictable stages that all of us need to go through in our road to consciousness. In the guided visualization on Track 2, called Initiation in the Pyramid of Giza, you will experience a powerful spiritual initiation in the pyramid of Cheops, called the Great Pyramid in Egypt. 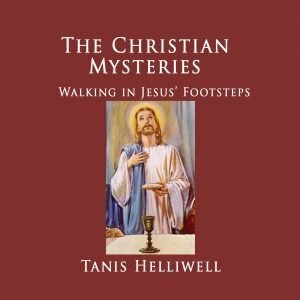 Track 1 of The Christian Mysteries assists you to understand the deep spiritual truths demonstrated by Jesus life and how they illustrate the steps that each of us, regardless of whether we are a Christian or not, will walk on the path to consciousness. In the guided visualization on Track 2, called Walking in Jesus’ Footsteps, you will experience the series of steps that both Jesus and you need to go through, from baptism, temptation, and crucifixion, to finally attain ascension. Track 1 of The Greek Mysteries discusses the significance of archetypes in our lives and refers to the myth of Dionysus, the Greek god of ecstasy and initiation and how he breaks down old patterns that no longer work in our lives. In the guided visualization on Track 2, called Meeting Your Male and Female Archetypes, you will encounter the male and female archetypes, the Gods and Goddesses that most influence your life today. 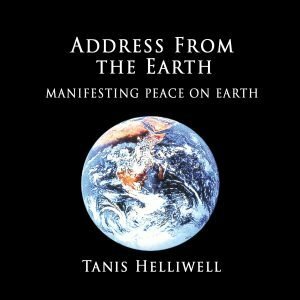 Tanis Helliwell delivered this talk to the International Science and Consciousness Conference in Albuquerque, New Mexico. Track 1 Address from the Earth is spoken by Gaia about what she desires from humans at this time in history. In the guided visualization on Track 2, called Manifesting Peace on Earth, you will be able to assist in bringing inner and outer peace to all beings and to the Earth. Track 1: Eliminating Negativity In this guided visualization you release any negative feelings that might be causing you physical or emotional lack of health. You will also have the opportunity to meet with two people with whom you have unresolved feelings and to forgive them and yourself and they also forgive you of any wrongdoing. Track 2: Purpose of Your Life In this guided visualization you find out the purpose for your life and meet your higher self and receive answers for concerns that you have at this time. Track 1: Energy Rebalancing In this guided visualization you rebalance your energy by employing simple yet effective breathing, relaxation and visualization techniques. From yogic breathing to relaxation to rainbow colours: feed all organ systems of your physical, etheric, emotional, and mental bodies. Track 2: Path of your Life. In this guided visualization you see the path of your life and examine relationships and goals to overcome any barriers that keep you from being the person you hope to be. Track 1: Linking up World Servers is a visualization. You have the opportunity to go into your higher self to link with your soul group, to ask for assistance from the divine source to help in service to humanity and to all sentient beings at this time. Track 2: Healing the Earth is a guided visualization to assist you to heal the Earth by cleaning up all the physical, emotional and mental debris that is not in accordance with divine light and harmony. You visualize cleaning the mineral, plant, animal and human kingdoms and this heals the Earth even as you do this.